World Canvass: Fracking and the Iowa Divide, Part 1, The Fracking Revolution: The first of a three part program recorded on September 13, 2016. 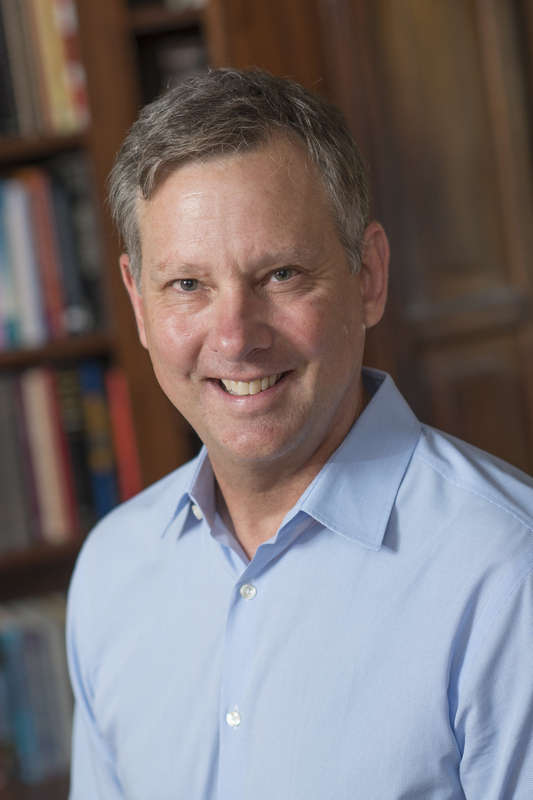 Ty Priest, an associate professor of history and geography at the UI, and Bob Libra, State Geologist of Iowa, explain the business, technology, politics, and regulation of fracking. Pianist Alan Huckleberry gives a live performance of “Farewell to Stromness,” the moving piece by British composer Sir Peter Maxwell Davies which was written as a tribute to a small Scottish village threatened by a planned uranium mine. World Canvass: Energy Cultures in the Age of the Anthropocene – This University of Iowa International Programs sponsored “WorldCanvass” discussion was part of a major humanities symposium sponsored by the Obermann Center for Advanced Studies entitled “Energy Cultures in the Age of the Anthropocene,” held on the UI campus March 5-7. 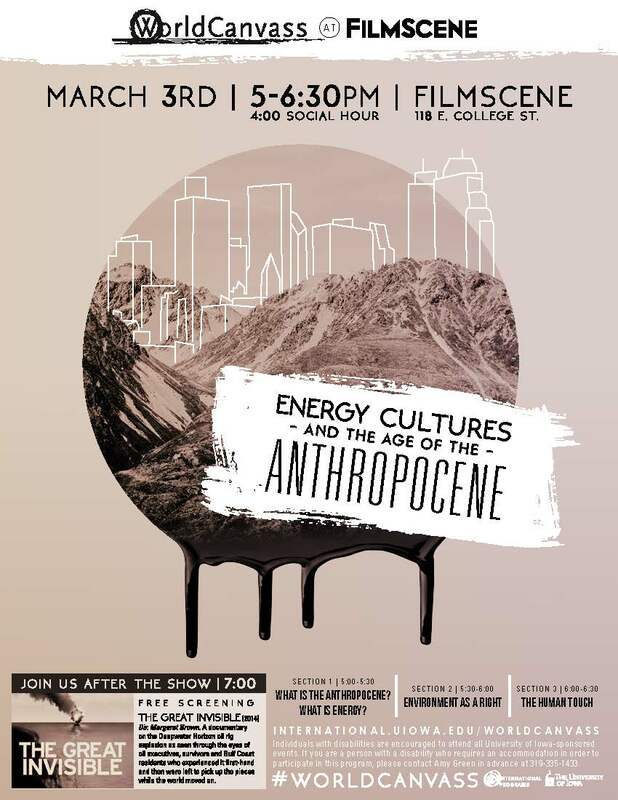 Anthropocene 101 – In this preview to their March 2015 Obermann Humanities Symposium, Energy Cultures in the Age of the Anthropocene, Tyler Priest (History), Barbara Eckstein (English), and Bradley Cramer (Earth & Environmental Sciences), provide a basic introduction to the increasingly popular and useful concept of the Anthropocene as a new geologic age. The History of Offshore Oil and Gas in the United States – This video discusses the history of offshore oil drilling in the United States. It was shown at NCSE’s National Conference on Science, Policy, and the Environment: Our Changing Oceans, in Washington, DC on January 19, 2011. National Commission on the BP Deepwater Horizon Oil Spill and Offshore Drilling, Video introduction (2011). National Commission on the BP Deepwater Horizon Oil Spill and Offshore Drilling, Panel 3, Regulatory Oversight of Offshore Drilling, August 25, 2010, C-Span video. “Big, Bigger, Biggest: Oil Rig,” National Geographic Channel, UK – This 2009 documentary reveals the technological leaps forward in offshore engineering that led to the installation of Shell Oil’s Perdido Spar, the world’s deepest offshore oil platform, located in more than 8,000 feet of water in the Gulf of Mexico. C.T. Bauer College of Business, University of Houston symposium on “The ‘New Golden Triangle’: Comparative Perspectives on Deepwater Oil and Gas in West Africa, Brazil, and the Gulf of Mexico, October 24, 2008.